Microlearnings are bite size learning experiences aiming a sharp outcome. They include content focused on few key ideas, assessments, references, stretching goals. You can get the gist of an idea in a blink, consume the content anywhere, during transition times. You can get back to them for exploring further, use the links, the references. Short assessments or stretch goals allow you to make sure the learning happens. Microlearnings work best in short sequences over a few days. They may include spaced repetitions over a few weeks for total retention. 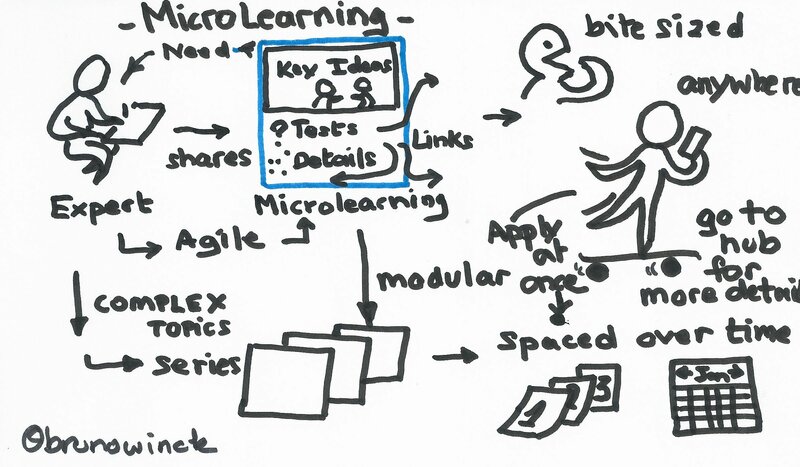 A succession of microlearning can cover any topic or complexity. The key is to provide a meaning full sequence, links and a way to customize the experience. Find here a long form roundup of multiple posts published on this topic by numerous people across the learning industry.